Whale watching in the Pearl Islands is one of the highlights for tourist. But not only for tourist since many biologists study the great humpback whales here. Panama and especially the waters around the Pearl Islands is the only place in the world that attracts humpback whales from the northern and southern hemisphere to breed and feed. Whale watching around the Pearl Islands is only possible during the winter migration of the whales. Lucky winter kicks in on different months a year in the southern and northern hemisphere. The best months to spot whales are probably June till October since it is winter in the southern hemisphere and there are a lot more whales then in the northern part. An estimated 2000-2500 southern humpback whales visit the Pearl Islands during these months. But don’t worry during November to march you can spot the northern whales in the sea. 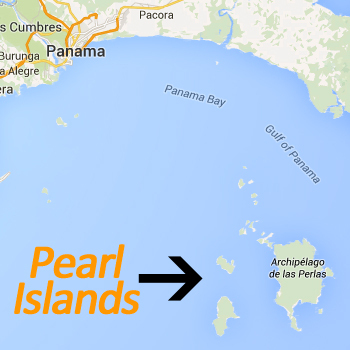 But there are only 300-500 visiting the Pearl Islands. When you are going whale watching around the Pearl Islands the chance that you see a whale calf is very high. The whales use the calm warm waters of the tropics to breed and give birth. We can tell you this, after watching these magnificent creatures ot the Sea you will never forget them. Whale watching is a must do activity when visiting the Pearl Islands! If you don’t like whales you can always watch the various dolphin species that swim around the sailboat. The humpback whales are one of the largest mammals in the world. They grow over 50 feet (15 meters) and weigh more then 50 tons, on average that is more then 25 cars! The humpback whales have the largest side fins of all the whale families. The whales can easily be recognized because of their tubercles on their head, large bumps that look like blisters. 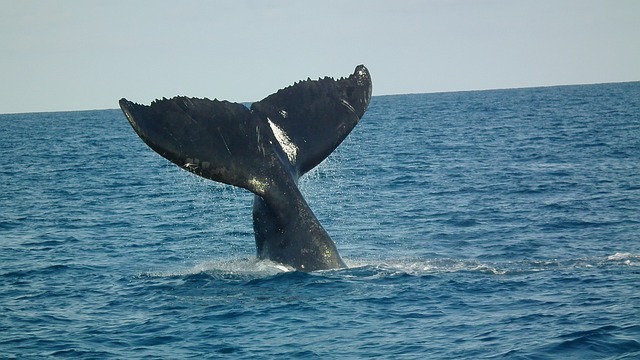 The Humpback whales mainly feeds on krill, small fish and plankton, krill are small shrimps and shellfish. They filter the krill, small fish and plankton out of the water by using their massive baleens. These mega brushes are their teeth and trap all the krill, small fish and plankton inside the mouth of the whale.